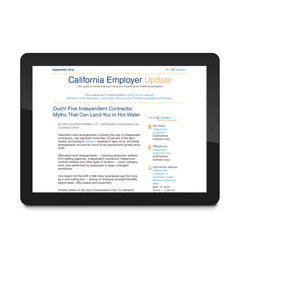 California Employer Update (CEU) is a digital monthly newsletter delivered straight to your inbox. CEU guides readers through the myriad of state employment laws as it zeroes in on hot topics. Topics are simplified and legal jargon is defined, making complicated laws easy to understand and apply to your business. Plus, you can save each issue on your computer for future reference and fast access. CEU's revelant articles contain detailed content and expert insight on workplace trends, new laws and court rulings affecting California employers. 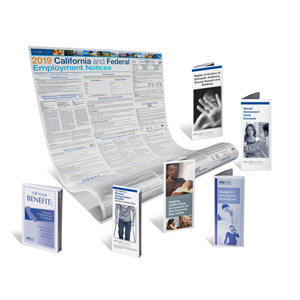 CEU articles also contain expert insight from CalChamber’s own employment law counsel and HRCalifornia’s Helpline consultants. Our experts are at the forefront of emerging employment law developments and are well-practiced in applying employment laws to California businesses. Information contained within CEU is not intended to serve as legal advice. Readers with specific questions should consult with legal counsel. Do the clothes really make the man—or woman? Find out how employers weighed in on whether workplace dress codes affect productivity. Want to hire students who are home on summer break and stay out of legal trouble? Review this checklist from CalChamber's employment law counsel. Is an employee who comes to work for a short, scheduled meeting entitled to additional reporting time pay? Is the employee entitled to split shift pay on days when he/she attended meetings in the mornings and worked a shift later in the day? What did the court decide? Get the answers in this edition of Law in Brief. Think it’s OK to have a family member run the register a few nights a week? Why not? Actually, a family member's willingness to help can land employers in trouble with the Division of Labor Standards Enforcement if he or she isn’t treated like other employees.